Skill based literacy programmes for women are conducted in remote areas as well as urban slums, with a view to empower them economically. 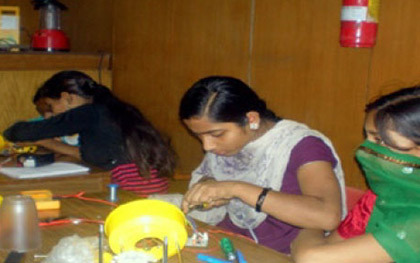 Computer Training Centres run by AIWC branches offer vocational courses for capacity building among women. 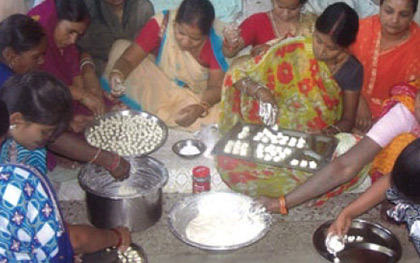 SHRADDHA Street children project is one of the four projects of Mumbai branch AIWC started on 2nd October, 1996. 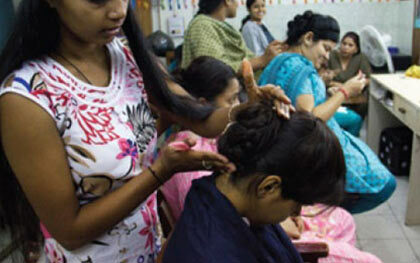 The Centre is situated at Hasnabad Muncipal School, Khar (W) Mumbai. It is a day care centre for the street children aged between 5 to 16 years. The schedule of the day is fixed from 10 a.m. to 5:30 p.m., closed on Sundays and bank holidays. 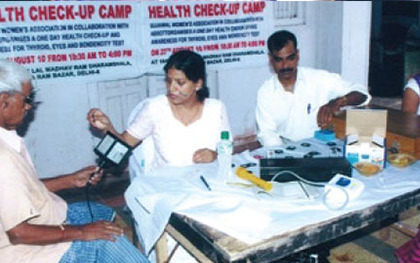 Organizes health camps for detection of various illnesses among women and referral for treatment. Provides community health services through Mobile Health Vans reaching areas where there are negligible facilities for health care. Provides special care to expectant and nursing mothers, and children. Educates women about health, nutrition, sanitation, hygiene and family welfare. Actively supports the cause of leprosy patients by providing day care centres for their children. 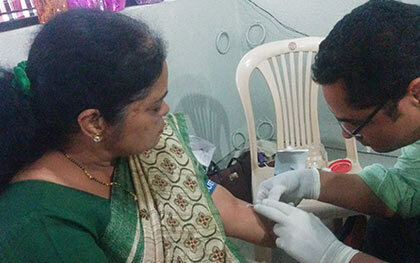 Organizes Anemia camps to detect, treat and follow up action. Vocational Training is provided to women in dairy farming, food processing, solar drying of farm products, and home based ventures with locally available raw materials. Leadership/Capacity building through training programmes. 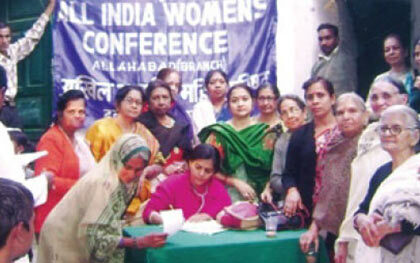 We Propagate the concept of self healp groups with finacial assitance to AIWC managed groups. Awareness programmes are conducted all over the country to enlighten women on their legal rights and privileges. Sexual Harassment at workplace – Training for members to be part of internal complaint committee of various organizations which is a mandatory practice as per the Vishakha Guidelines. Many members of AIWC are currently part of internal complaint committee in various organizations. Programmes specially designed to include adolescent boys and girls to promote gender equality are regularly held. 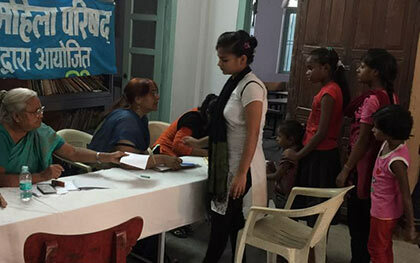 AIWC is implementing “Enhancing Life Skills Training Programme” in the branches and covers various topics such as adolescent health and related problems, social issues, peer pressure, relationship with elders, career counselling, stress management and social media responsibilities through a participatory approach. AIWC has been working in Climate Change mitigation process since the 1980s through the propagation of alternate energy. In recent years we have engaged with UNFCCC at the global level through WGC and advocated Climate Justice. 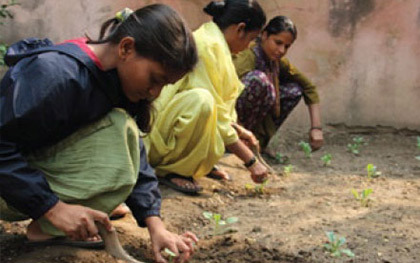 At the National level, we conduct a number of awareness programmes on the impact of climate change on women. AIWC is engaging with the SDG process since 2012 both at Global and National Levels. Training and awareness programmes on energy conservation and energy efficiency are conducted. 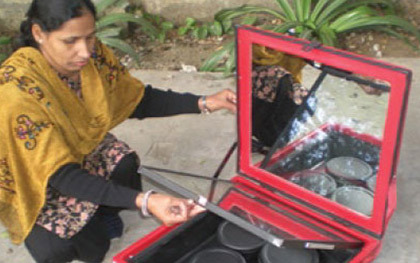 Poverty alleviation through assembly/repair of solar equipment as an income generation activity. Capacity building programmes on water, waste management, sanitation, vermicompost are conducted, Promotes herbal gardens and planting of trees. 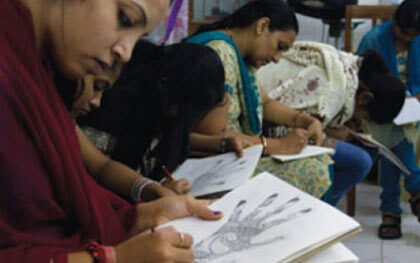 Short Stay Home for women in distress like Bapnu Ghar in Delhi. Family counselling centres, 24 hour helpline, mobile helpline etc. Disaster preparedness programmes are conducted with the help of National Institute of Disaster Management's resource material and NDRF battalion wherever possible. 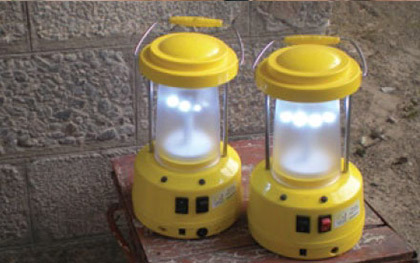 Consumer Awareness Programmes are conducted for consumer rights, consumer laws, consumer protection, etc. Awareness programmes are regularly conducted to promote National Integration and Harmony.